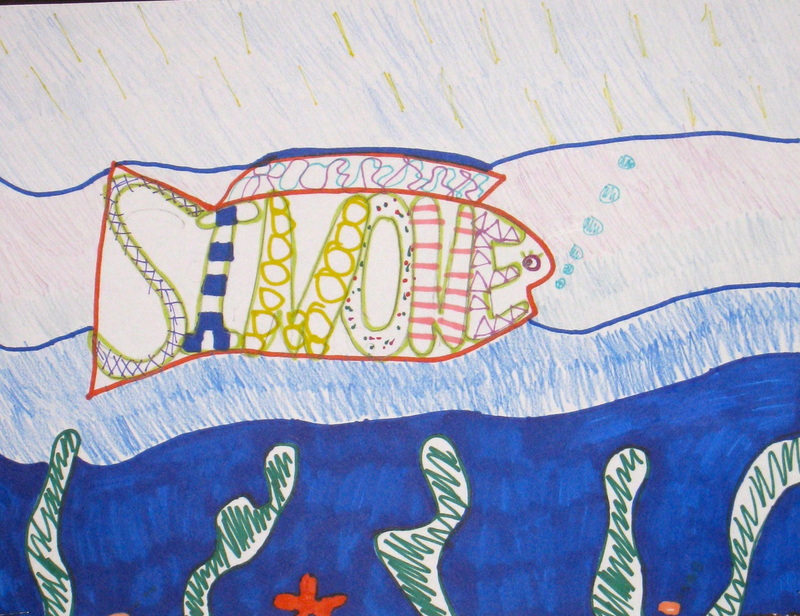 Students were asked to create these fabulously fishy scenes. 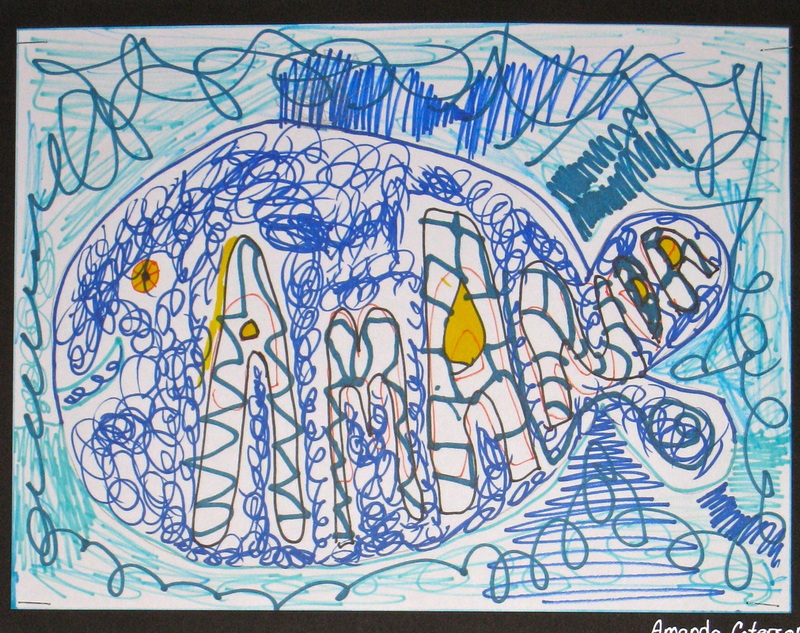 They began by first coming up with a large fish outline. 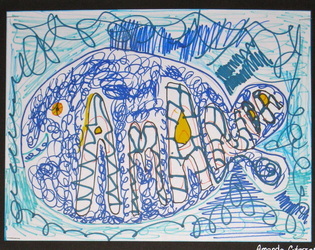 Then they put their names within the fish using bubble letters or other stylized letter shapes. 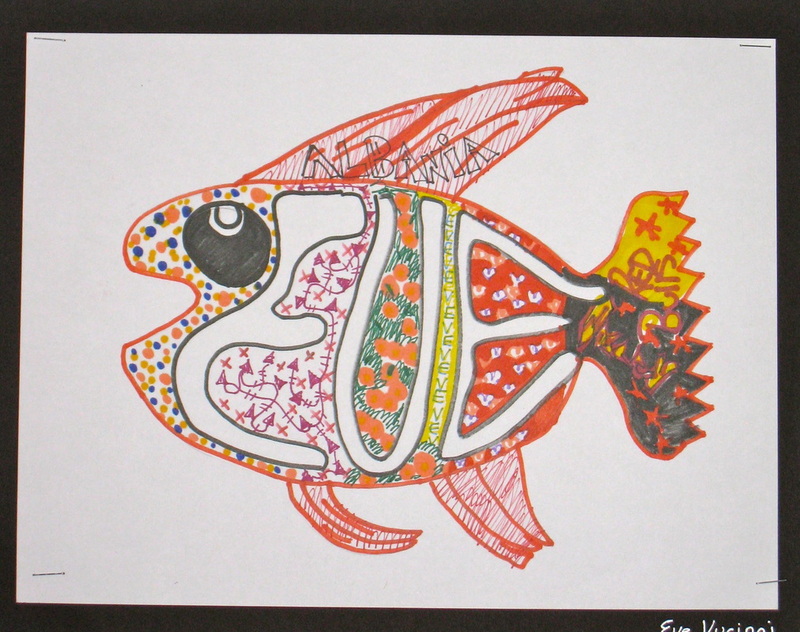 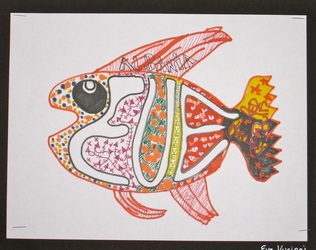 After completing the design they began coloring their fish, while leaving their letters empty. 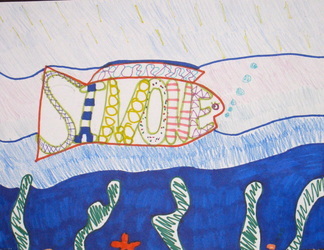 By decorating their entire fish body the letters stand out beautifully against a colorful background.